Providing 24 hour towing service and roadside assistance in Scranton PA and surrounding areas! Do you need a tow truck in Scranton? Perhaps you need roadside assistance.. Here at Scranton Towing and Recovery, we understand that the only thing worse than driving in hazardous conditions is being STUCK in hazardous conditions. Lets face it, being stranded with a dead battery, flat tire, or without gas is stressful. WE GET IT. That's why our tow truck service and tow truck drivers are there to help. Scranton and Wilkes-Barre are infamous for the worst roads in the state and even the country. Broken down? Let our tow trucks give you a tow. Our tow fleet can meet the needs of any individual- whether you need wheel lift or flat bed - we can accommodate! We service the majority of northeast Pennsylvania including Scranton, Wilkes Barre, Pittston, Clarks Summit, Dickson City and nearby towns! ​Locally owned and operated, our company is top notch and we happily provide services ranging from flatbed towing solutions to lockouts. There are no jobs to large or too small for Scranton Towing and Recovery tow trucks! Scranton Towing and Recovery offers top quality affordable prices. Equipped with a professional and experienced staff, Scranton Towing and Recovery is a reliable and cost-effective answer to the stranded motorist. Do not let imitators fool you. You can call us 24 hours a day, 7 days a week, 365 days a year- rain or shine, we will be there! 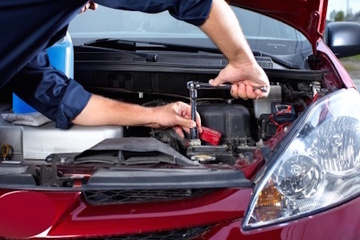 Let our 24 hour roadside emergency technicians service your car troubles and get you back out on the road as soon as possible. Keeping you and your loved ones safe is our number one priority; and our friendly, experienced technicians make it so you never feel alone. Make the call- we will see you out there. We are here for you! Call us now! Why choose Scranton Towing and Recovery? Thats right, call us 24 hours a day, 7 days a week. There is no time for leaving messages when you have an automobile emergency. Call us anytime and we will gladly answer and get you back on the road. No job is too small and we take our customer calls seriously! Costs for unplanned automobile events can really add up. We understand this and offer competitive rates for our services. If you are looking for affordable and reliable services, look no further than Scranton Towing and Recovery. What separates good towing companies from great towing companies is experience. We consider ourselves lightyears above the rest in quality. Let us impress you with our knowledgable staff and friendly dispatchers. Our Tow Trucks are top of the line and expertly managed! AND all of Northeastern PA cities, towns, and counties nearby!